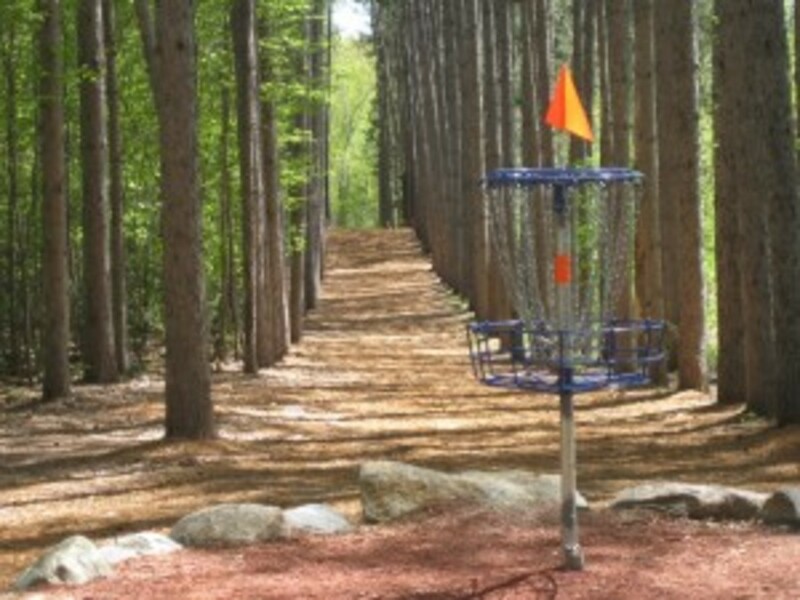 In playing disc golf, there are two basic shots. The forehand and the backhand. Outside of the two main throws are several specialty throws, some are worth learning. Some specialty shots are not worth learning unless you have perfected the rest. Two other throws that are worth learning are the Roller shot, and the overhead shot. In many situations they can be shots that can take strokes off your game. The ultimate goal of all disc golfers. These shots are at least worth checking out. This is a specialty disc golf shot that can help you take strokes off your game. The roller is a good shot if you have to go under a canopy to get to the basket. You need to have a clear relatively flat ground to get there. How to throw a roller shot. Grip the disc as throwing a normal backhand drive. 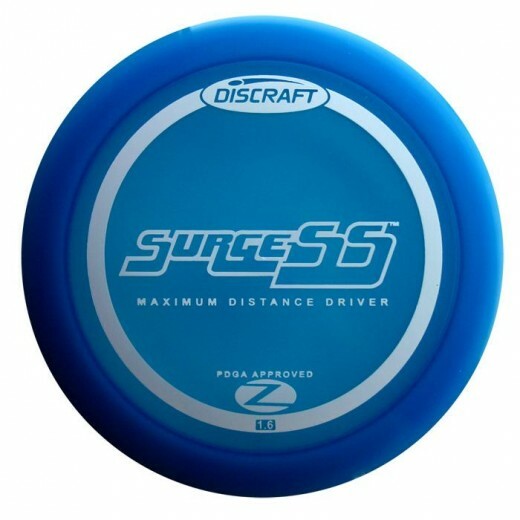 During the release of the disc, you need to release the disc with about 45 degrees of Anhyzer on the disc. You want the disc to fly for a certain distance and come down on the edge. You want to have enough speed on the disc to start rolling when it lands. You can throw a roller forehand or backhand, depending on what you need the disc to do, and which way you want it to turn. When the disc rolls, if it is rolling fast enough, it will turn in the direction of the bottom of the disc, as it slows it will turn back the other direction. You must allow for the turn when you release the disc. There are basically 2 types of overhead disc golf shots. The tomahawk and the thumber. Some player’s use them for drives on normal holes, while most people use them for get out of trouble shots. Some more accomplished players can throw these shots 500 feet or more, however this is an exception and not the rule. Both of these shots are good shot to learn to take strokes off your game. The difference between the thumber and the tomahawk is there flight path is the opposite of each other. The disc will turn over in flight so it will be flying upside down. It will then either go right or left depending on which throw you use, the thumber or the tomahawk. The throw will then come back the other way at the end of the flight. Example. If you throw right-handed and you are throwing a tomahawk, hold the disc the way you hold for a forehand shot. You release the disc strait up and down. As the disc flies, it will turn to the right and be upside down, then it will turn back to the left at the end of the flight as it’s coming to the ground. To throw the thumber, put your thumb on the inside rim of the disc, lay your index finger along the top edge of the disc. Both of these throws require a firm grip. The thumber will do just the opposite of the tomahawk. If you are throwing left handed, everything above will be opposite. 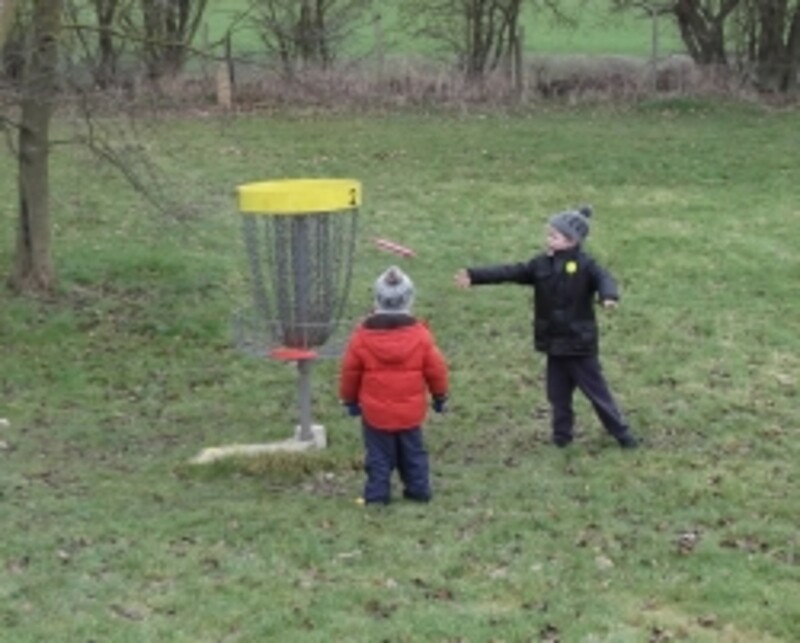 Because the disc lands on it’s edge, it is risky to use these shots if the landing spot is on the side of a hill. 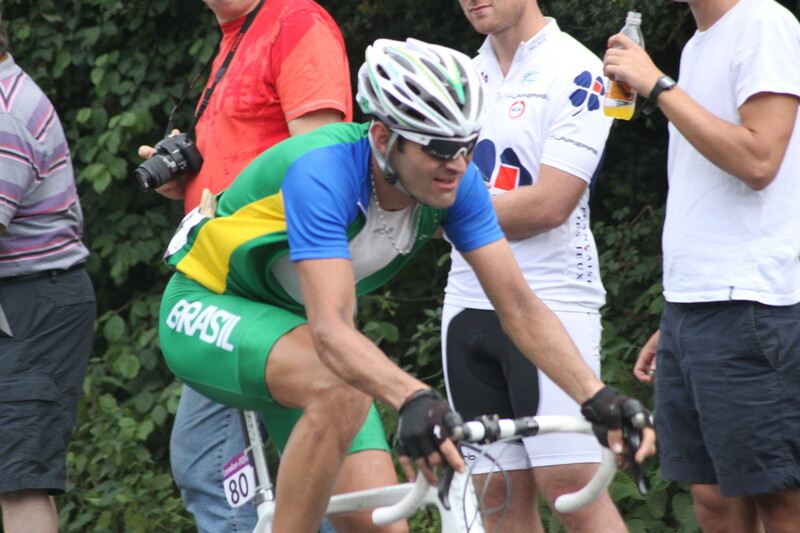 The disc will have a tendency to roll down the hill. After the release of the disc, you must follow thru completely, if you stop just after release, you will lose distance and will not get the desired effect. These shots are not easy to throw effectively. They take some practice to throw well. The reason you should lean them is that sometimes you need to throw one to get out of trouble. Even if you can only throw the disc 100 feet, it will still be a useful shot to get out of trees or other obstacles that have you trapped. can you tell me how do I play that thing?